I love all things French. French food, French lavender and especially French wine. 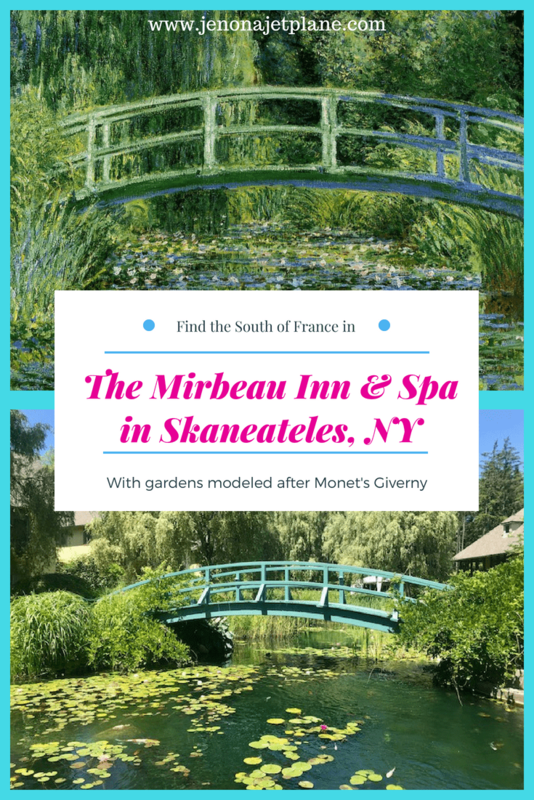 That’s why when I stumbled across the Mirbeau Inn and Spa in Upstate New York, I knew I had to pay them a visit. I have to admit that I overlooked the Upstate New York area at first. I’d previously only visited during the holidays. With harsh winters and sunset at 4pm, it wasn’t the first place that came to mind when searching for a summer vacation spot. I’m happy to say I was wrong. It turns out, Upstate New York comes to life in the summertime. After a long hibernation period, a record number of flora and fauna bloom in near perfect weather conditions, with warm but not overwhelming sunshine and a daily routine that moves at an easy, no-rush pace. 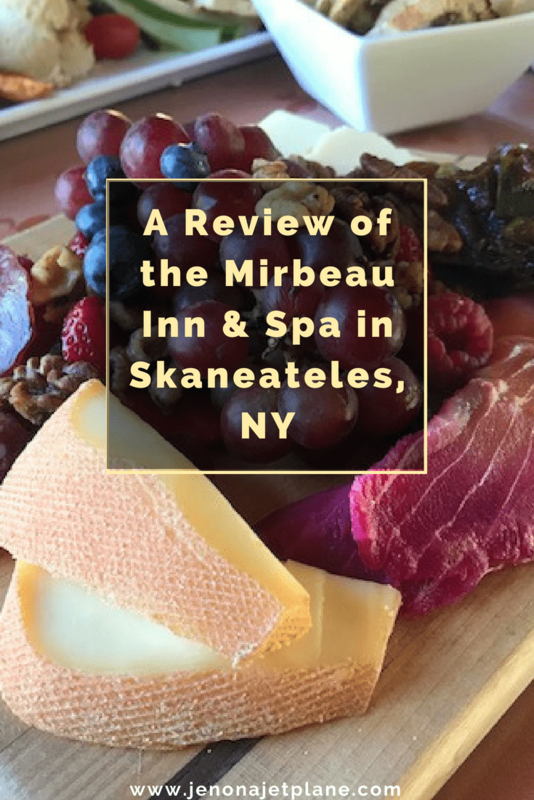 If you’re looking for a countryside escape just a few hours away from some of America’s busiest cities, the Mirbeau Inn and Spa is the idyllic retreat you’ve been searching for. Read on to find out why! 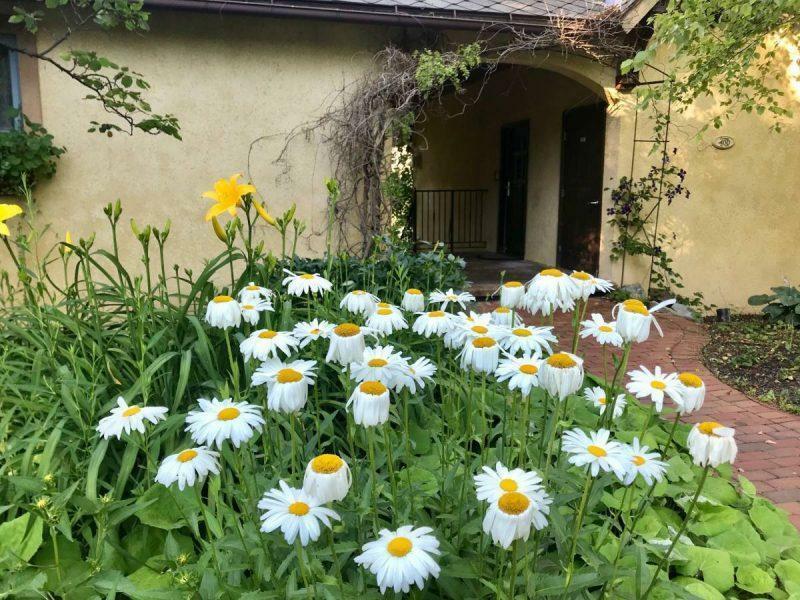 The Mirbeau Inn and Spa was founded by a local couple who are lifelong fans of the South of France and wanted to recreate their dream vacation closer to home. It is one of two properties currently open under the brand, with a third under construction in Rhinebeck, NY. Each property has a different theme. The Skaneateles property is the flagship location and is meant to be reminiscent of the French countryside. The signature attraction and and highlight of the property are the gardens, modeled after Monet’s Giverny. 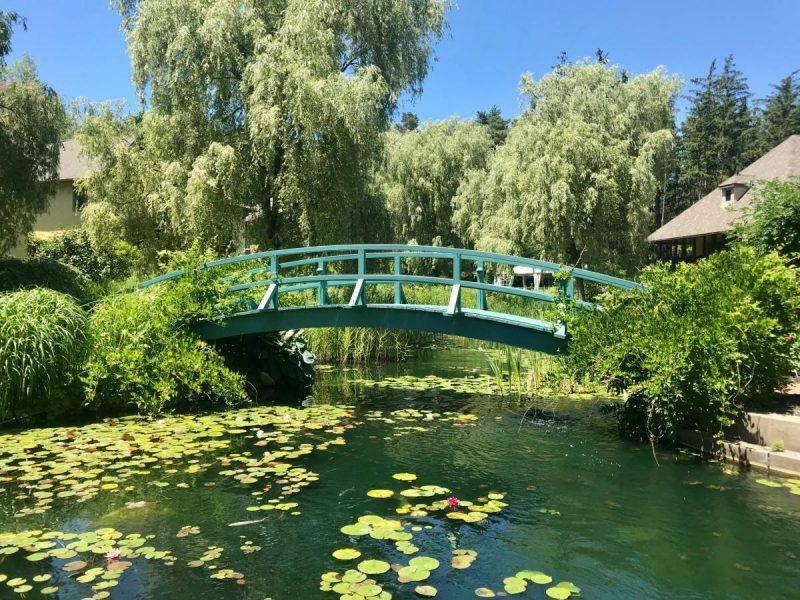 The Japanese Bridge pictured above is a near-identical replica of a Monet paintings and makes you feel like you stepped into a living masterpiece, with carp and water lilies seen in the garden’s pond. You can host weddings or showers here, and there is a pavilion equipped for outdoor events and activities. While I attended as a solo travel, I’d love to return with a partner sometime in the future. There’s an air of romance, making this an ideal honeymoon or anniversary destination. Pronounced Ska-knee-atta-lees, this city is located less than 5 hours northwest of New York City and 2 1/2 hours east of Buffalo. It can easily be accessed by major highways, train or bus and the closest major airport is Syracuse at just over a half hour away by car. This is the perfect base for exploring the Finger Lakes Wine and Cheese region and can even be accessed from Canada. With less than 10,000 people residing in the town, it’s a small area that packs a lot of charm. 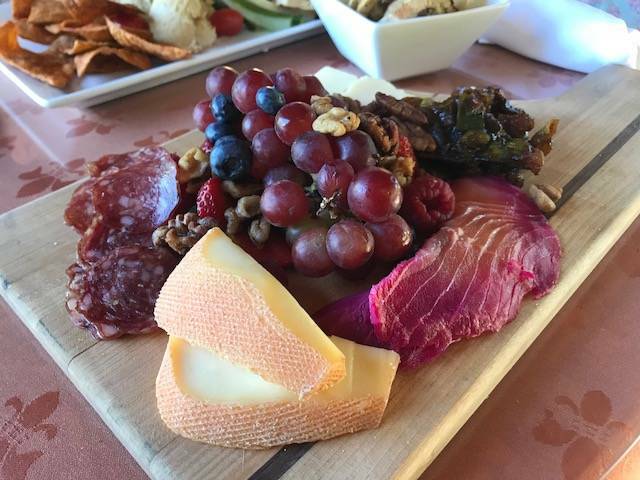 Dining at the Mirbeau Inn and Spa is an experience for the palette, with bread made fresh daily and selections of local cheeses, meat and even seafood specials. Those with a sweet tooth won’t be disappointed. In the span of two days I ate creme brûlée, flourless chocolate cake and debated on trying the homemade ice cream. The best part is the view from the dining room patio, overlooking the Japanese Bridge. If you ask, the staff will bring you breadcrumbs to feed the fishes who will eagerly gather to await your handouts. There were so many small touches about this hotel that surprised me. The rooms resemble private apartments, housed in independent buildings that look like French villas. There are 34 rooms and 2 suites. 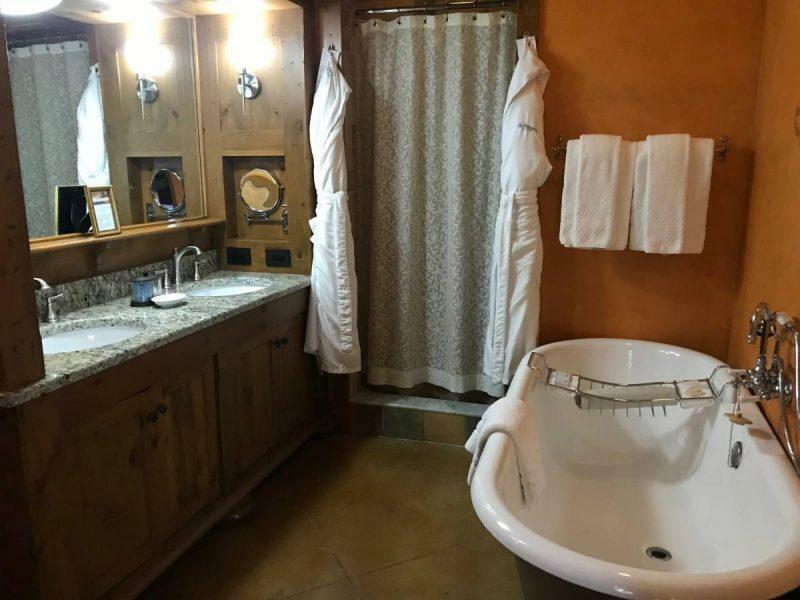 Each come equipped with a bathtub, walk-in shower, double sinks, fireplace and bedside chocolates, both lavender and orange infused. 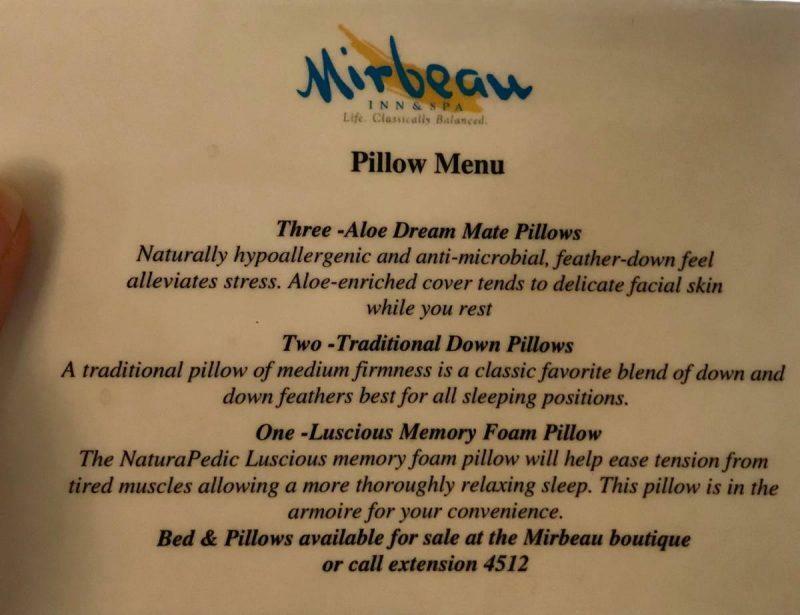 This was my first time staying somewhere with a pillow menu, an amenity I never knew I always wanted. I don’t know if it was psychological, but I slept soundly knowing I’d hand selected my pillow of choice for the evening. Bicycles are available for rent, so you can cruise around the neighborhood in style. There is also a spa on site, featuring luxurious treatments and Caudelie skincare products, made in France with the oil and seeds of grapes. Plush bathrobes are available when you arrive, and commonly worn throughout the property. There is a basket of goodies when you go into the bathroom, and specialized bath services to make sure you get the perfect soak. There’s also a fitness center on the floor below the spa, offering a schedule of fitness classes and independent workout equipment depending on your preference. Parking is free, with multiple lots throughout the property so you can park close to your room. If you’re in the area during the summer months, I highly recommend a visit to Lockwood Lavender Farm. 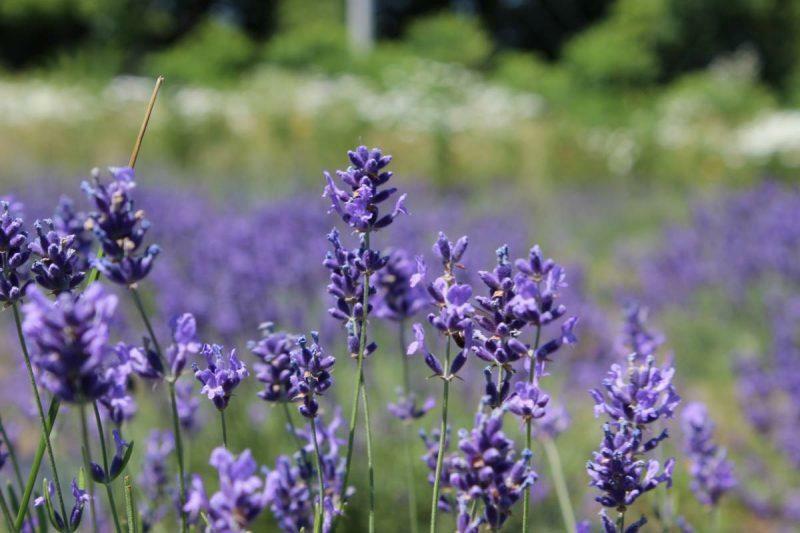 One of the oldest lavender farms in the state, you can pick a bouquet starting at just $5 and buy a variety of lavender products, from soaps to candles. You can also buy honey products, since where there’s lavender there are bees. I purchased blackberry flavored honey sticks here that were refreshing and delicious. 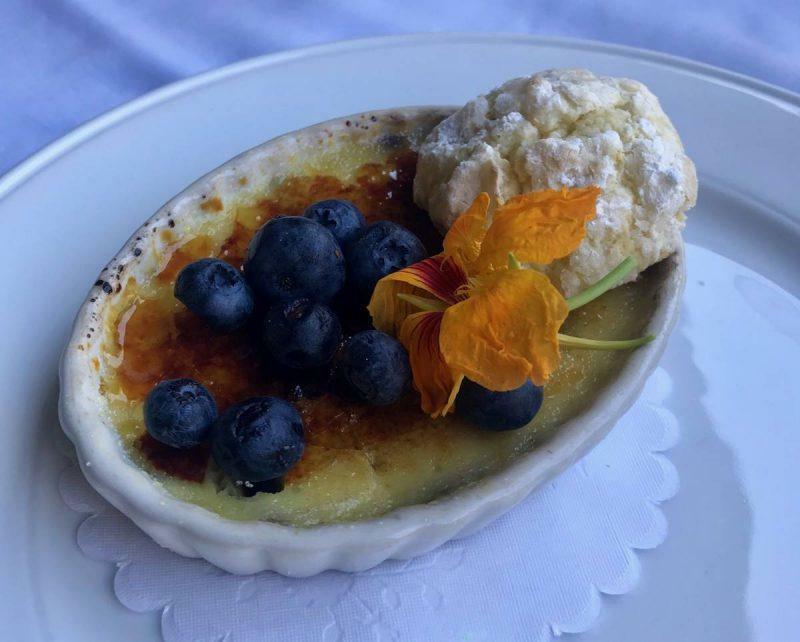 If you want to keep the French theme going, be sure to visit Patisserie by Skaneateles Lake, a small bake shop right by the lake. You can eat a croissant while strolling by the water, where you’ll see boats, tours and people in spades. 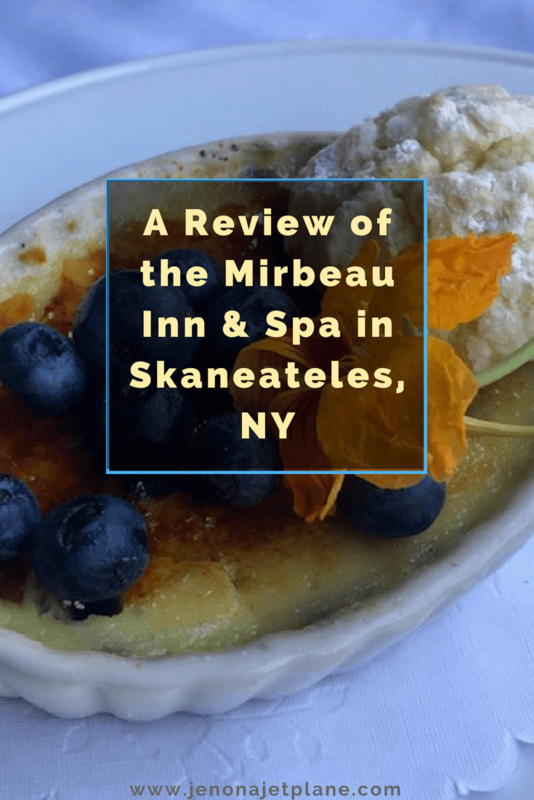 I hope you’ll consider visiting the Mirbeau Inn and Spa on your next visit to Upstate NY. Till next time, safe travels!